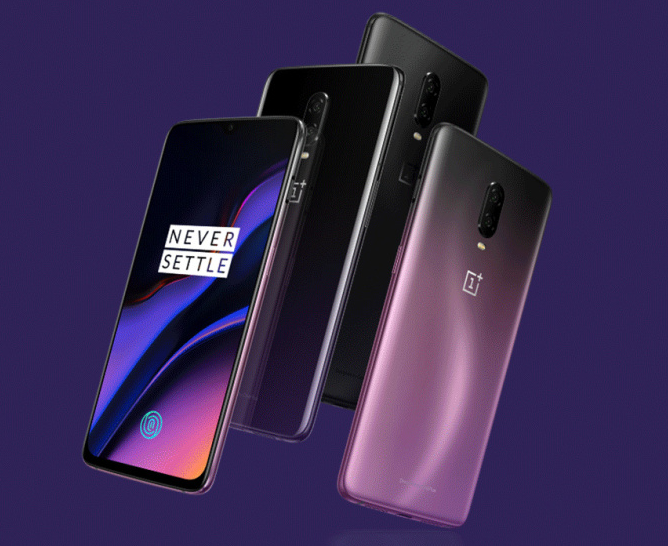 OnePlus 6T Launched in China with 3,399 Yuan Pricing; Purple Variant Unveiled - Playfuldroid! OnePlus has unveiled the OnePlus 6T smartphone in markets like the U.S. and India. Today, the company had held a dedicated launch event for the OnePlus 6T smartphone in China. It has landed in the home country with an affordable price tag of 3,399 Yuan. China is also the first country to receive the all new Optic Purple color gradient version. The starting model of the OnePlus 6T has 6 GB of RAM. It is equipped with an internal storage of 128 GB. This model comes in Mirror Black version only and it is priced at 3,399 Yuan ($493). The second model of the OnePlus 6T has 8 GB of RAM and a native storage of 128 GB. This variant comes in color options like Midnight Black and Mirror Black in the U.S, Europe and India. In China, the smartphone has arrived in a brand new color variant of Optic Purple. It can be bought by paying 3,599 Yuan ($575). The highest variant of the OnePlus 6T has 8 GB of RAM. It has an inbuilt storage of 256 GB. The variant comes in Midnight Black color option only. It carries a price tag of 3,999 Yuan ($630). The pre-orders of the OnePlus 6T smartphone has begun in China. The sales of the phone will start in the home country from Nov. 11.